Sewing, Dairy Cows, Chickens and Zucchini?? What happens in September…. 2 Weeks and 2 Fairs!! The Schilter Family survived 2 different fairs over the past few weeks. We enjoyed many successes and a few disappointments. If you have not had the opportunity to visit your local county fair please do so. Nothing says small town USA than the local county fair. Even if you live in the “big” city, there is a fair somewhere near where you live. The Southwest Washington Fair is an amazing 6 day fair that features 4-H, 2 Demolition Derbies, plenty of yummy food, and opportunities to reconnect with friends. Our kids had the opportunity to show both 4-H Poultry and Dairy. Additionally, Cassy ventured into 4-H sewing and did her Dairy Demonstration. Zach had the chance to present his Dairy Demonstration as well. Joey was able to show his heifer “Beck” in the Open Class Dairy show and definitely showed he is ready to join 4-H next year. The Pacific County Fair is a small 4 day fair that takes place in Menlo, Washington. If you want to see a local community come together and support each other, this is definitely the place. The weather was amazing and all the kids did an amazing job showing off their Dairy 4-H animals. Now…… it is time to get ready for school and prepare for the Puyallup Fair. The Puyallup Fair is the state fair for Western Washington. Zach and Cassy will have the opportunity to show their Dairy Project animals. 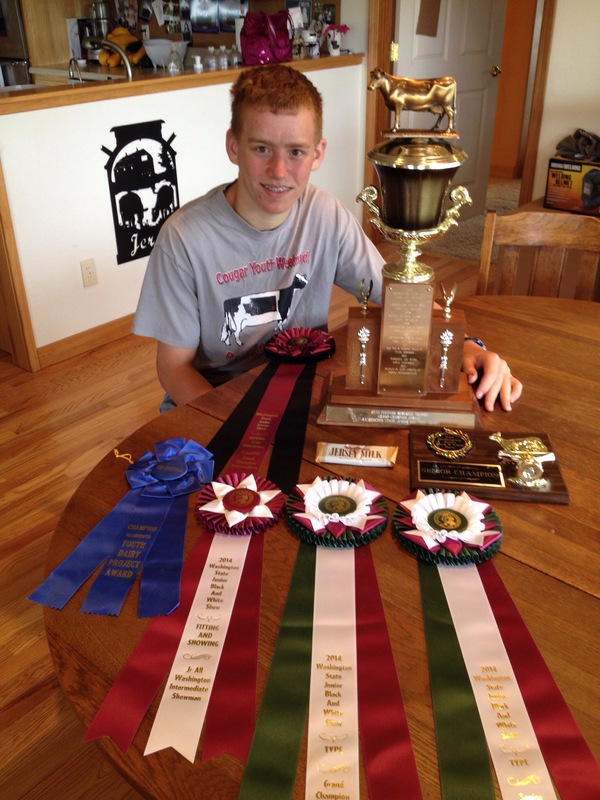 Additionally, Zach will be showing in the Western Nation Jersey Show and The Junior Showmanship Contest. Zach and his cow YoYo. YoYo won the Jersey Show for the 2012 Southwest Washington 4-H Fair. Cassy showing Stuffing in the 2012 Southwest Washington Junior Fit and Show Contest. Zach concentrating on the dairy questions during the 2012 Southwest Washington 4-H Quiz Bowl Contest. Zach showing his Reserve Champion Fit and Show at the 2012 Pacific County Fair. Enjoy your blog, Michelle! Congratulations to your children for their many accomplishments!